An accidental open mic broadcasting live to Bethesda’s Twitch stream picked up a discussion about Dishonored 2 being presented during the company’s E3 press conference. Ooops. The discussion, captured in part in the YouTube video below (audio only), discusses a presentation by Harvey Smith, co-director of the first Dishonored, who moved to France following its 2012 release to work on a follow-up with Arkane Lyons. The speaker with the French accent is Raph Colantonio, president of Arkane. What we’re hearing is Colantonio and others discussing an announcement bit in which he begins speaking in French, only to be interrupted by Smith in mid-sentence. Colantonio is being given instructions to continue speaking rather than stop after the first sentence, as his speech is so fast the scripted interruption felt unnatural. It’s a candid peek behind the scenes at how these big E3 pressers are put together. If you listen to the end of the recording you can hear someone informing the speakers that a live mic is broadcasting to Bethesda’s Twitch stream. 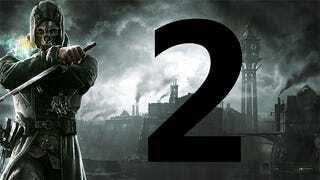 We expected a Dishonored 2 announcement tomorrow evening, and now we know it’s happening. Bethesda took the glitch in stride.